Located right on the side of 'The Ave' (what most UW and Seattlites call it)aka. 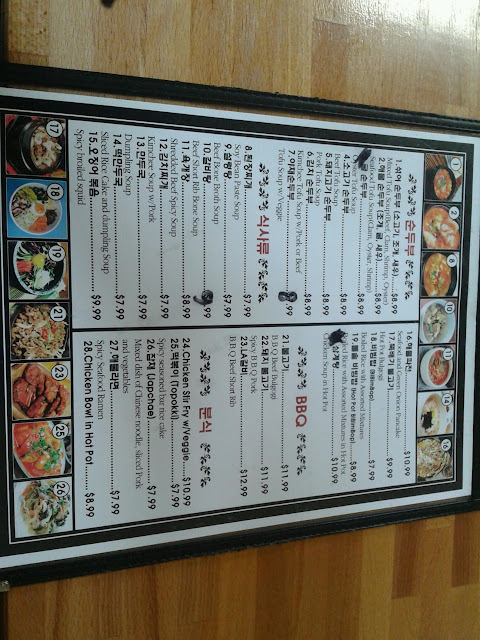 University Avenue, it is a small Korean restaurant at the bottom of some stairs off a side street (Brooklyn). 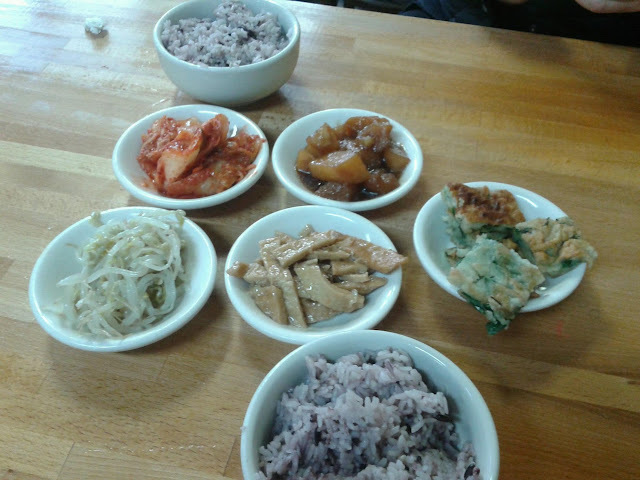 One of my favorite parts of eating at a Korean restaurant is the Banchan, or small appetizer dishes. (sorry if that's not 100% correct). We had Nappa Cabbage kimchee, this sweet soy potatoe dish, the korean pancake, seasoned mung bean sprouts, and seasoned fish cake. The potatoe one was my favorite. 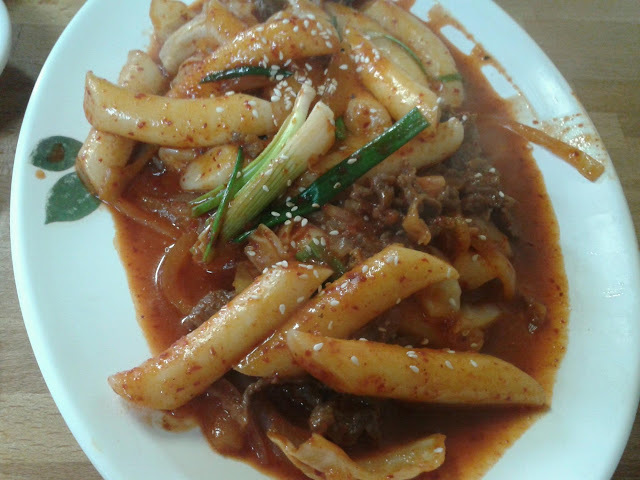 Then my friend and I shared a Dokbokki to Toppokki ,i'm not sure on the romanization for this one either! I thought it was one of the better ones i've had but just wished it had the fishcake in it. My friend said it still doesn't compare to her favorite one she had where it had spam and cheese and all this other good stuff. 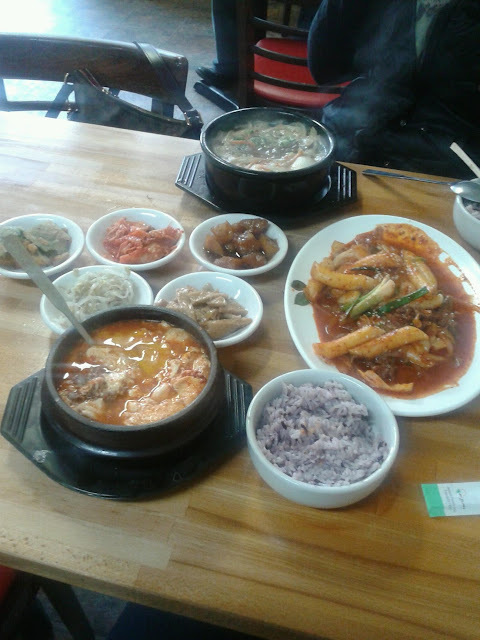 For my main entree, I had the mixed tofu soup which had the soft tofu, seafood of shrimp and clams, and beef. 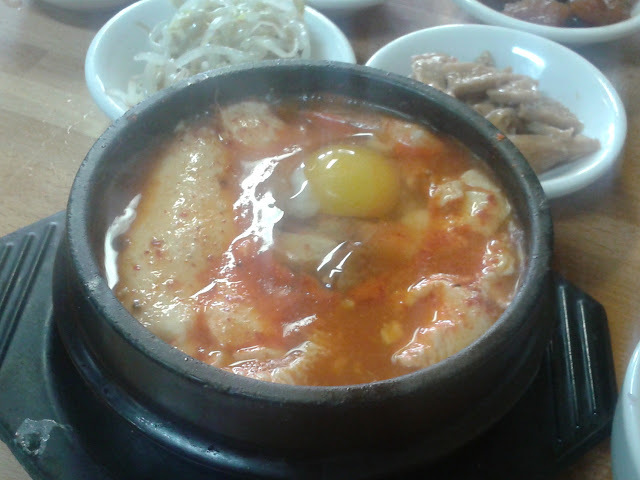 The waitress also cracked a raw egg over it while it was sizzling hot, which is one of my favorite parts. They didn't ask for how spicy I wanted it to be so I was a bit scared at first that it would be too spicy. But it surprisingly wasn't and was very tasty. It is a little bit on the saltier side so for me it is a must mixing the soup with rice. 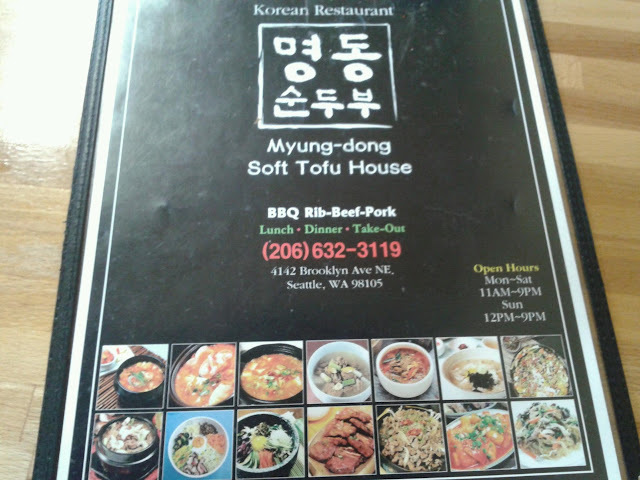 This was my second time here and I would probably come again if I am craving for Korean food and i'm in the area. The pricing is reasonable, but the only down side is one of the older Korean ladies that works there. Not sure if she was having a bad day, but she had a lot of attitude and it would be funny watching her and her facial expressions to. The service is fast, don't get me wrong, but if you don't mind their shifty attitude, then you should check this place out anyways for the food.